Today, we are going to talk about complacency. 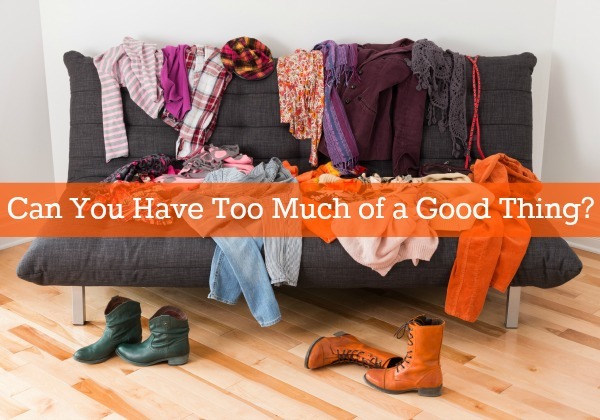 What does it mean to have too much of a good thing? What this means is that you’re ruling the roost and you’ve been doing it for a while. At this point you think everything’s rosy and you just stay there, you just stick with the same old formula thinking that’s going to work forever. Let me be the first to tell you — it won’t. There are many instances and many examples of things that just don’t exist anymore; the British car industry, for example. I mean, in England, we are very proud to have Rolls Royce and Bentley and things like that. Rolls Royce is owned by BMW, the Germans. Bentley is now owned by Volkswagen, the Germans. We complacently thought that we have the best cars in the world. We just capture an amount exactly the way we’ve always done. However, it didn’t inject enough technology to modernize; it just sat on the laurels. Look what happened. Of course, it’s still manufacturing in the UK so it’s not a bad thing. Let me give you a better example, which is my company, Fire Protection Online. When I launched it and dived in online, I learned all the best practices and did stuff, which quickly ranked top for pretty much any keywords we wanted. We did very well, and killing it on Google Adwords. So they were able to cherry pick every good thing that we did and then add some new tech and some new ideas. From our point of view, our perspective, we weren’t complacent. But from inside, it’s difficult to see what’s possible so perhaps we should have bought in some outside guidance on design and so on, and done some more conversion testing. Now we are still the top one for fire protection out there, but others are catching up. In fact, funny enough, some people just copy and clone the whole website and then didn’t realize Google would still index that in the background. We do use special software to track for people copying our copy and they would still leave in parts of that would say, “And here at Fire Protection Online,” until they gradually edited it out and replaced it. It’s not very nice to see. That’s what happens. So how can complacency get in? I mean, the most common one is on adverts. If you got a winning advert thinking that it will win forever, but once your target market has seen that advert a few times, they become blind to it. In paid advertising, one of the things is to always try and beat the control, always split test. You can do this through AdWords, Bing, Microsoft, and Facebook. Those ads, once you seen them, you just don’t notice them anymore. They have to be changed up so you keep that going. If you have brochures, you have a successful catalogue that won, it’s winning, of course you keep layout things but change the design so people know this is new, it’s fresh. Put dates on. Take our new mini catalog for example. We just launched a little mini-catalog and we always put the date on it. For the new one coming out it will say”April 2015.” People will know when that is produced, and that it is fresh and new. When we send out a new one in three months time, it will have the new date on it. People will know and it will have different colors, it will have different heading. Every issue will look new. There are other things that you can have. But if you’ve been somewhere, advertising for a long time or doing something, take a breather. Just step away. Perhaps you got the same type of emails. Stop for a while, just take a breather. Don’t do them. And then- That’s a cement truck, by the way. Bit lousy. So then, you are coming back refreshed. People will notice you again. Now of course, you can announce that you are taking a breather. In your emails, you can say, “People may be tired. We are going to research a new idea or prospect”. Just mix it up. It will improve your longevity and will stop people being able to catch up. Because if you keep changing and keep evolving, it will be harder for people to copy. You get me. It will work, don’t worry. Don’t be scared. Try this stuff. Trust me, it works. 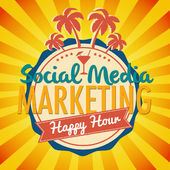 Today’s podcast recommendation is Social Media Marketing Happy Hour. That is a bit of a mouthful to say and it doesn’t even last an hour. It’s from Dawn Marrs Ortiz and Traci Reuter. My podcast runs daily on Monday through Friday. Theirs runs on the weekend. They have about 200 episodes, so I would say that they have been doing it a while. It last about eight, nine, ten minutes and they specifically concentrate on the latest things that are working for them in social media. I like it, they have fun. They seem to work well together. It’s fun, it’s nice, it’s going to liven up your day. I’d love you to subscribe so this gets downloaded automatically everyday to your iPhone or whatever. It’s steady easy, even I can do it. Then, give a review. That will be nice. I’d love to know what you think. What does your business have that is too much of a good thing?